The In-Home Pastry Chef: Bake Danish Like a Pro! 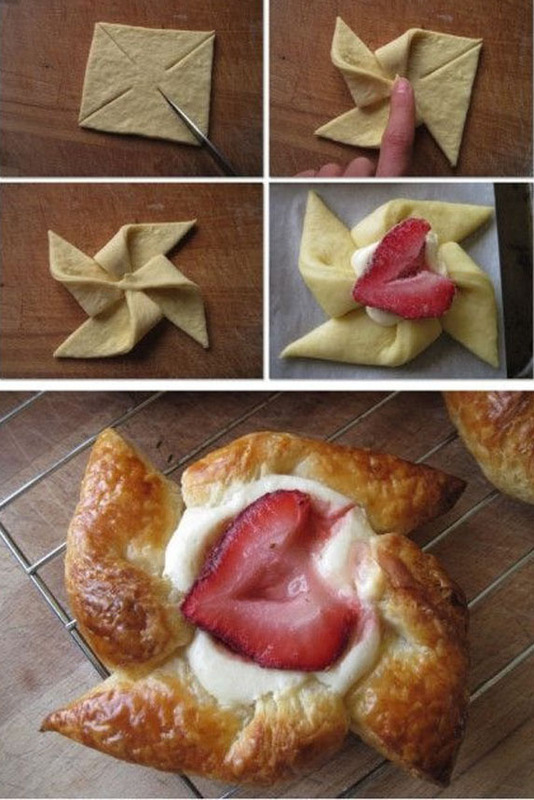 “The Braid” Make a crescent roll square, cut sides with 5 snips leaving a 2″ space in center, smear on sweetened cream cheese, add fruit filling and braid. Brush with egg wash & bake @ 375* for 10-15 minutes. 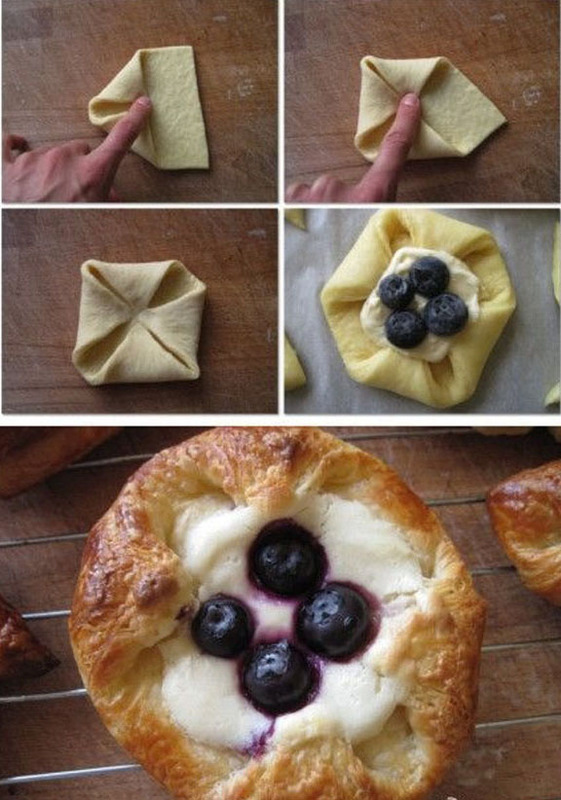 Want impressive and delicious pastries at home in minutes? Try these easy and fun techniques! All can be accomplished with a few simple ingredients and about 20-30 minutes. No need to make a trip in to your local bakery because you got this! Start with a can or 2 of crescent rolls (healthier brands can be found at your local health food market), a base of softened cream cheese (8 ounces) and powdered sugar (about 1/4-1/2 cup) to taste–whip up. Slice fruit of choice–berries and apples work nice or use preserves and jelly. Some egg wash–1 egg whipped up with a tablespoon of milk. Grab your spoons, knife, pastry brush and baking pan and lets go! so that’s how they do it! Could you do it with cabbage leaves, a bit similar to dolmades? Hi Bill! I believe leaves, of most edible sorts, could be the base or palette–that pleases the palate 🙂 Also cream cheese mixed with a bit of mayo and seasonings could be used along with sliced veggies for a savory twist as well.Thanks again for your clever ideas; they make my mind wander even more 🙂 Cheers!